i’m coming from Russia where anti-nuclear activists are under big pressure and risking their freedom if they want to voice opposition against nuclear power. For Russian government it is a matter of big money – building reactors around the world, and also providing fuel for those reactors. Those who criticise nuclear in Russia becomes the enemies of state and criticised by media as «foreign agents» working to disrupt Russian economy. My organisation – Ecodefense, one of oldest environmental groups in Russia – was labeled a «foreign agent» by government because we did campaign to stop the construction of new nuclear plant near Kaliningrad. And we succeeded to stop it. Just as we succeeded with African colleagues to stop nuclear construction in South Africa. Another governmental attack on activists was just started couple of weeks ago when many big media in Russia printed propaganda against activists at the same time and with similar arguments. While we are proud to be the people who are so successful in stopping dangerous activities by the industry, it is also right to say that Russian government wants us to keep mouth shut forever. Which we do not intend to do. Although Germany is phasing-out nuclear at home, it is still involved in pro-nuclear operations, including with Russia. We can clearly see this through cooperation happening between Lingen and Russian nuclear industry. They are exchanging nuclear materials, sending nuclear transports in both directions several times a year. While frau Merkel rightly criticising Putin for bad action including human rights abuses, she keeps her eyes closed for nuclear cooperation between facilities in Lingen and Russia. It has to be clearly said that it is double- standard and such activities must not proceed. I’m here in Lingen today to do two things – to show my solidarity with German movement and to increase a pressure on Lingen facility. I’m sure that we are speaking from the same position with our comrades in Germany – dangerous nuclear activities should not proceed any further. By cooperating with Russian nuclear industry, the Germans help to continue Russian nuclear expansion around the world. Instead of telling Russia to stop the spreading of out-dated and dangerous nuclear technologies (including nuclear reactors in regions which are not safe such as in the Middle East), German authorities conveniently keep their eyes shut when it comes to this cooperation. There should not be any further help from Germany, from Lingen or anywhere else, to Russia or anyone else to spread dangerous nuclear around the world. 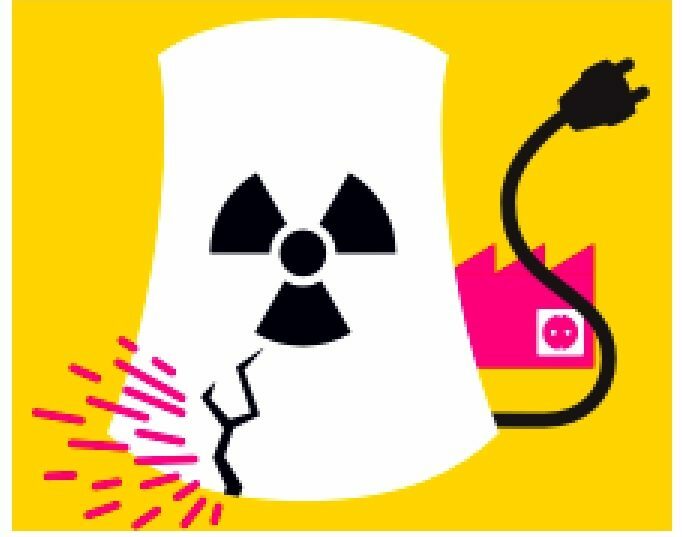 And nuclear phase-out must immediately happen not only in case of reactors but also in cases of projects connected to nuclear fuel and wastes. International anti-nuclear movement wants safe world and good future for all people. No more Chernobyls, on-land or floating, no more Fukushimas, but safe world powered by renewable energy. And we shall fight for it as hard as we can. Shut down old nuclear reactors! Shut down all construction of new reactors! Let the world to save a chance for bright future!